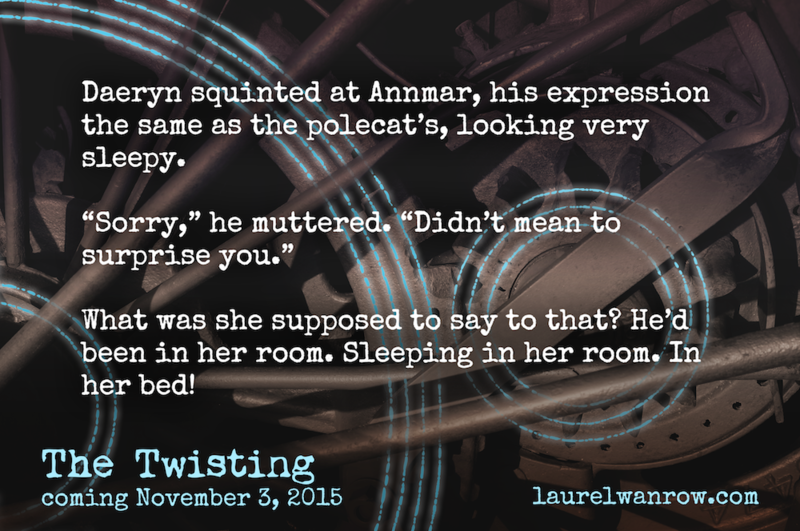 Another teaser while waiting for my cover reveal Thursday. Daeryn and the nocturnal guards are battling ever-increasing pests, ones that seem bizarre, even by Blighted Basin standards. It’ll take extra creativity to defeat them. Is our team is up to the challenge? 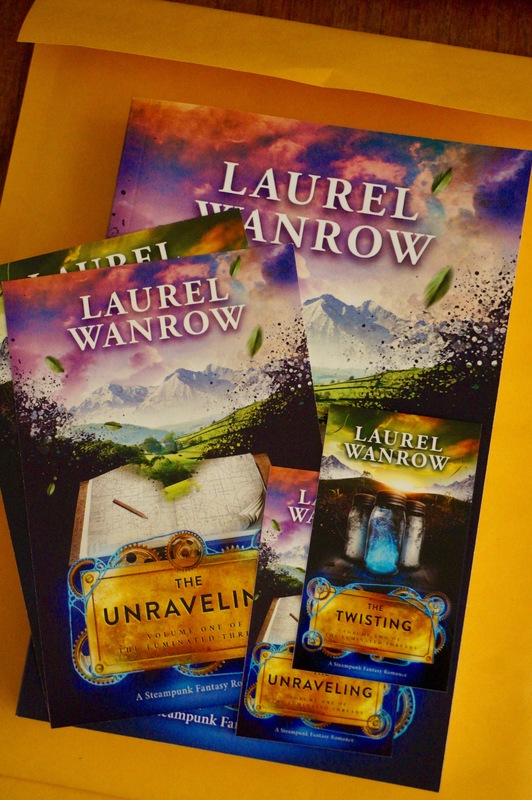 The adventure is waiting for you in The Twisting, Volume Two of The Luminated Threads! 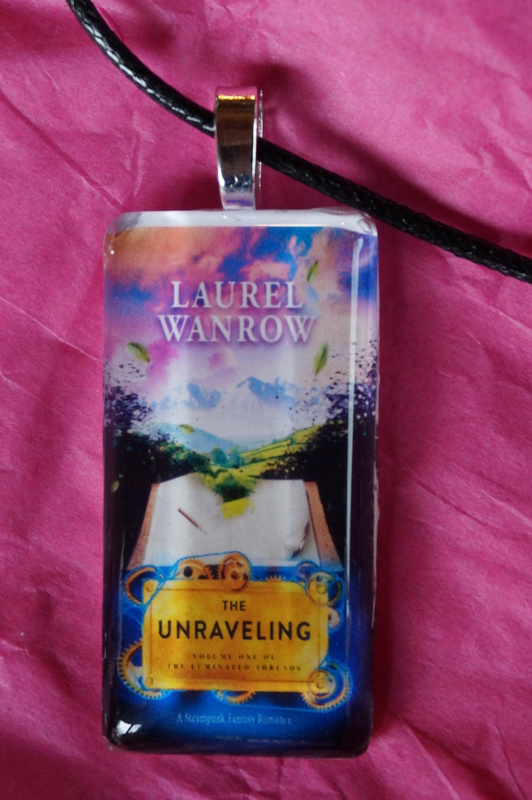 Two days until my cover reveal! 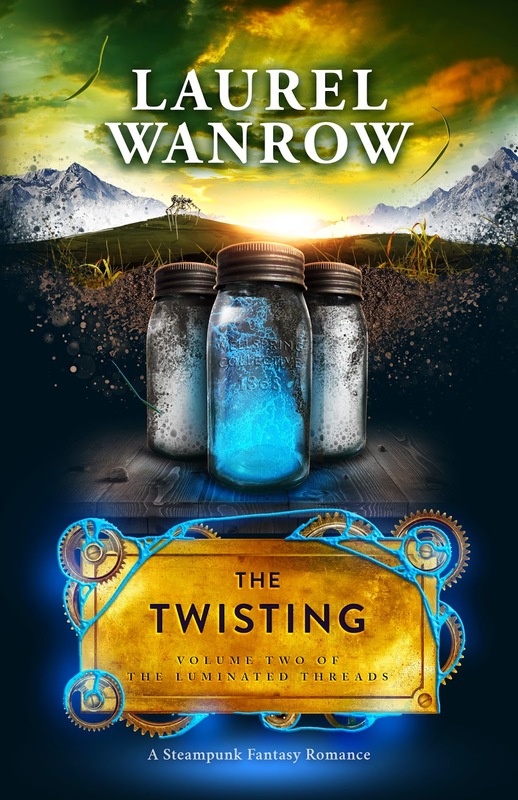 In one of those bizarre techy things, when I uploaded The Twisting to Amazon both it and an ‘untitled’ third volume in The Luminated Threads series populated themselves on Goodreads. 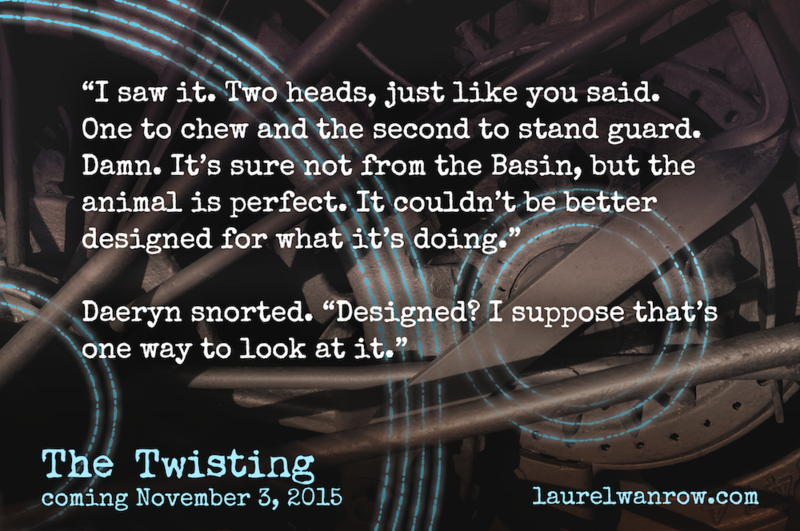 Therefore, I can already say: Please add The Twisting to your Goodreads shelf. 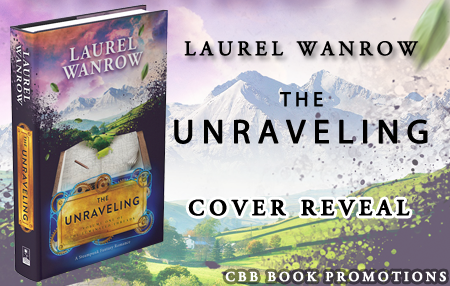 Look for my cover reveal Thursday! 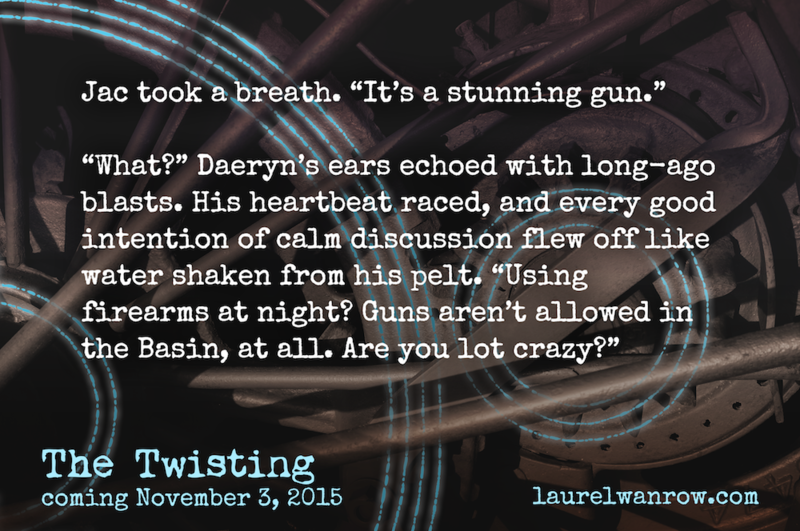 But while you wait, here’s a teaser from The Twisting, Volume Two of The Luminated Threads. 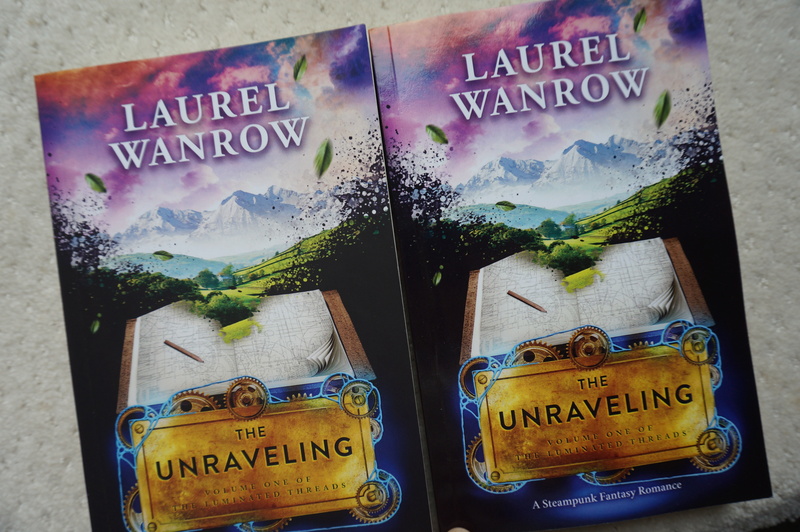 Matte on left, glossy on right. Any opinions? 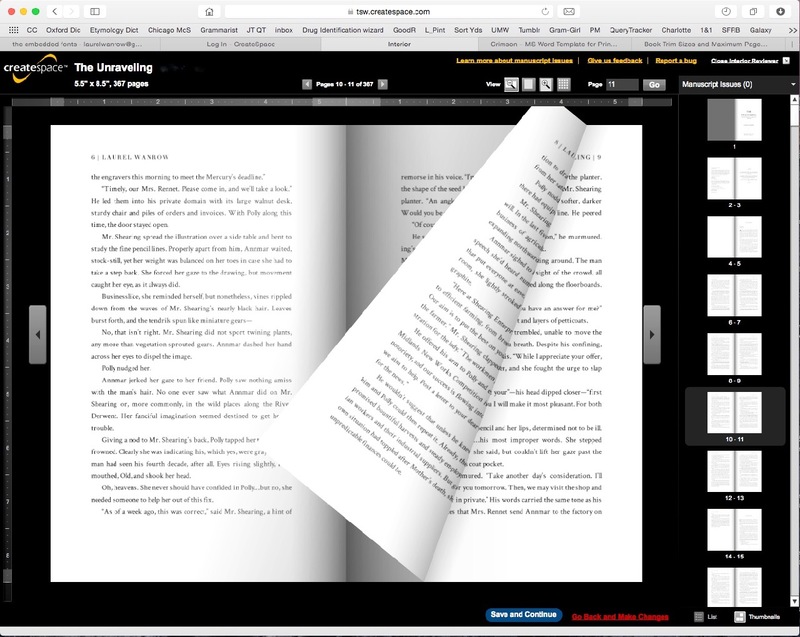 I need to order the prize books for the givaway! 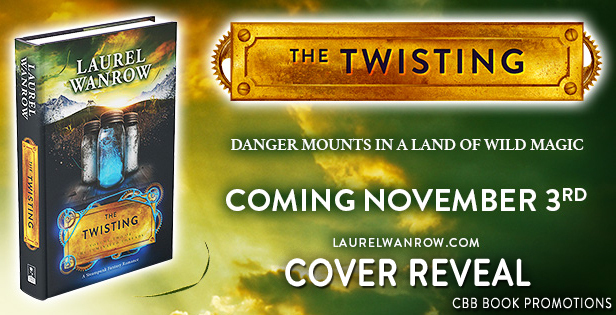 Wow, I’m still grinning stupidly from cover reveal day. Thanks for all the posts, tweets and good wishes! 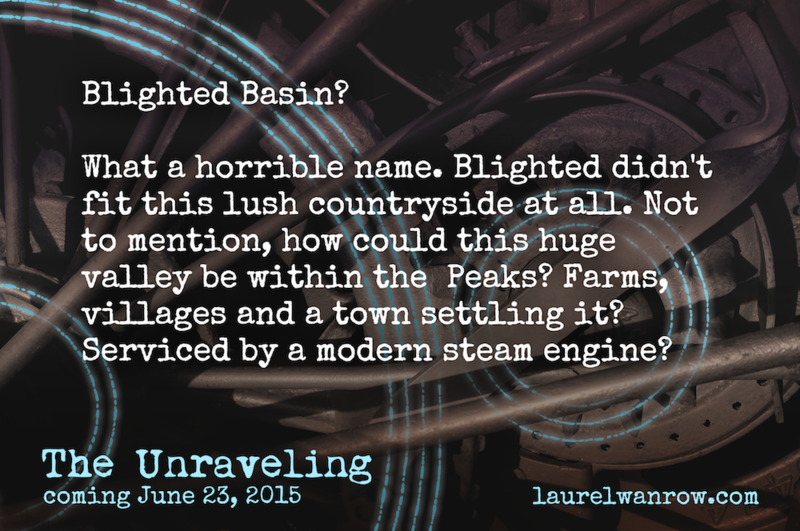 There’s a reason for Blighted Basin’s bizarre name, but like the cover, it’s part of the slow reveal of the story!